As part of our commitment to providing 'A fantastic future for all', we believe everybody at our school should feel comfortable enough to be themselves. This year, we are working towards The Rainbow Flag Award. 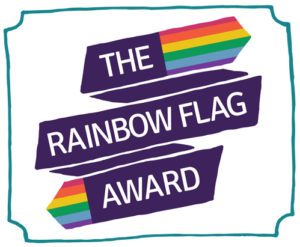 The Rainbow Flag Award is a national quality framework for all schools and colleges, focusing on LGBT+ (lesbian, gay, bisexual, trans, plus other related identities) inclusion and visibility. The award, led by Mrs Adson, is a whole school approach will help tackle homophobic, biphobic and transphobic (HBT) bullying. It will help the school meet the legal and statutory requirements to promote LGBT equality and inclusion. 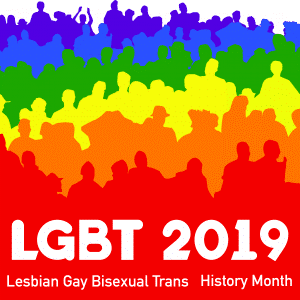 In February, we celebrate LGBT+ history month. This year, each form will be given a historical LGBT+ event which has taken place in Manchester. Students will be given an opportunity to learn more about the context of that event and the outcomes afterwards. We will also be having our first MEA Central Pride event on Friday 15th February. On this day visitors and speakers from all sectors will talk about LGBT+ inclusion in their area. Students will be able to ask questions and address any misconceptions that they have. The day aims to promote equality for all groups of people and challenge prejudice. If you have any further questions around our commitment to LGBT+ inclusion at Central, please do not hesitate to contact Mrs Adson (r.adson@meacentral.org.uk).